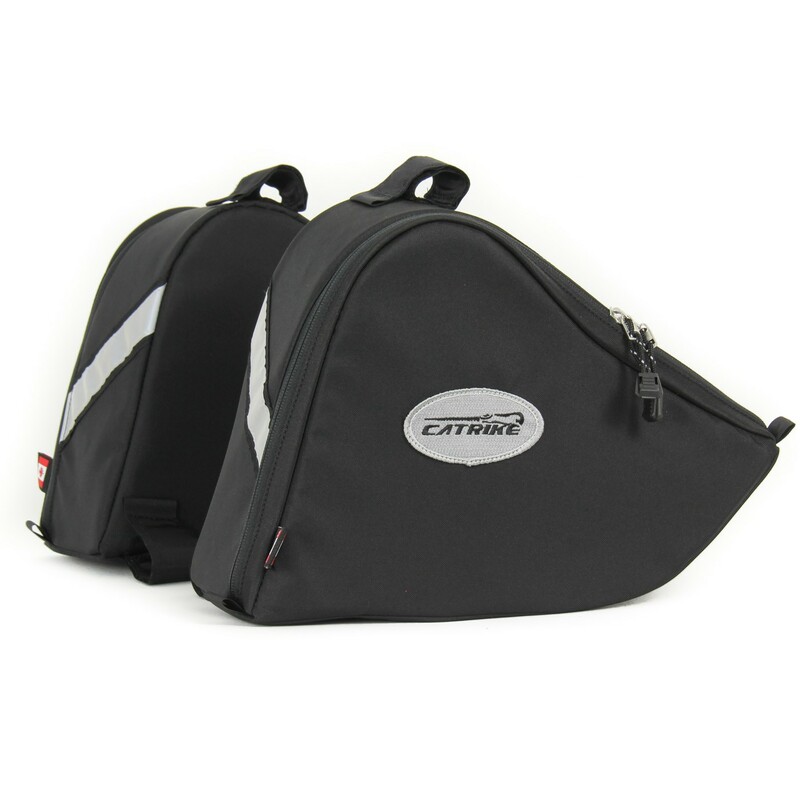 These bags are specifically made for the Catrike Expedition, Road and Speed. They are made right here Sherbrooke, QC, Canada from 600 denier polyester fabric with foam and high density polyethelene stiffeners. They are sold as sets and fit snuggly on each trike. No rack necessary! The designs are made to carry from the frame and require absolutely no other hardware. The fit inside the frame gives your trike such a sleek look, unlike most things that are added. 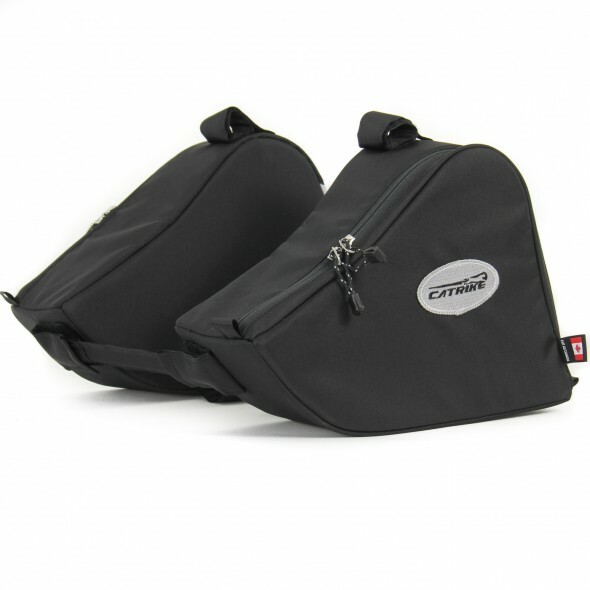 Catrikes have graceful frame geometry and these bags function well without compromising the look of the trike. They hold more than you might think, too.